ESET is committed to the protection of privacy of the Site(s) visitors. 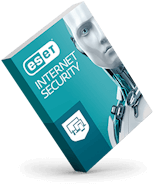 This is information automatically collected about your use of ESET services. Please note that ESET may provide aggregate statistics about our customers, sales, traffic patterns, and related Site information to trusted third parties, but these statistics will not include any personally identifying information. This may also include IP address, and company name. ESET collects Personal Information for the purposes of provision, development and personalization of the Site(s) and any other ESET sites, services and/or products, research and demographics, statistics and customer care. Specifically, ESET collects personal information for the purposes of personal communication with you in order to respond to your questions, and fulfill your requests. Such information may include, among other information, your name, address, e-mail address and telephone number. These data will be used in the events you have entered your personal information on ESET website, to contact you for direct marketing purposes via mail, e-mail or phone to conduct market research, and to inform you of and get your feedback on upcoming products, services and/or promotions. If you send us product orders, service requirements or if you send any material to the Site(s), we might have to contact you in order to gain additional information necessary for processing or fulfillment of your orders and/or requirements. Your Personal Information will not be revealed to any third parties without your prior consent, unless required otherwise by legal regulations, or cases, when it is necessary for processing of your order, fulfilling of your request, or providing interactive customer service and ESET's products and services improvement. 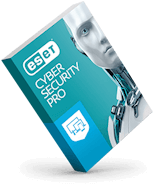 At the same time you are giving ESET the right to provide the information you submitted to ESET, for above purposes to the partners cooperating with ESET. ESET, may share your non-identifiable e-mail address with third parties in order to provide you with a better experience, determine your interest in our products or improve the quality of our offerings, and personalized advertising. We take precautions to limit the exposure of your personal data by implementing security measures such as encryption. We may disclose Personal Information and any other information about you if we believe it is reasonably necessary to respond to legal requests (including court orders, subpoenas, government inquiry), to protect the safety, property, or rights of ESET, to prevent or stop any illegal, unethical, or legally actionable activity, or to comply with the law. Generally, you may use these Site(s) for information purposes without giving personal information and informing ESET who you are. But, from time to time, ESET or its third-party designees may place information on your computer to allow ESET to collect certain data. This information is commonly known as "cookies". The cookies are commonly used on many websites. Cookies are stored on your hard disc in the computer, not on the Site(s). ESET or its third-party designees will use only information, they themselves placed in cookies through the Site(s) or other ESET's web sites. Cookies allow us to serve you better and more efficiently, and to personalize your experience at our site. By means of cookies ESET is able to further develop and improve the Site(s). As to the former, these types of cookies allow you to log in without having to type your log-in name each time and without having to add products to your shopping list each time in between two visits, if the transaction was not finished in previous visit. 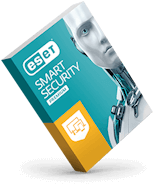 ESET is subject to the investigatory and enforcement powers of the U.S. Federal Trade Commission, or any other U.S. authorized statutory body.